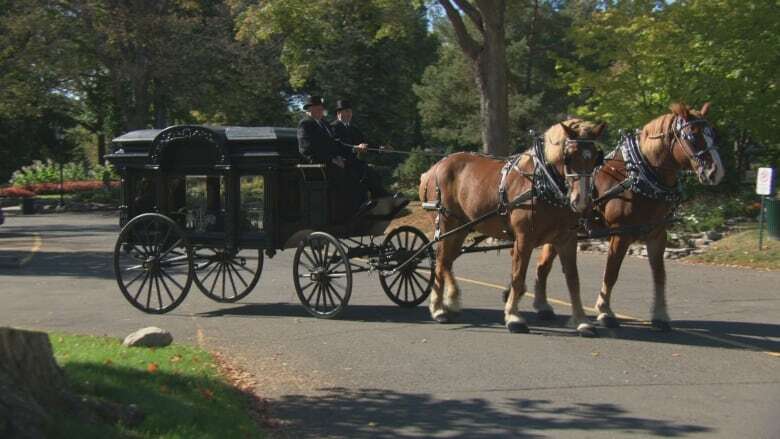 The final remains of nearly 80 people buried many decades ago and unearthed during light rail-related construction in downtown Ottawa were once again laid to rest on Sunday. The remains of dozens of people buried decades ago and unearthed during light rail-related construction in downtown Ottawa were once again laid to rest on Sunday. Representatives from Presbyterian, Anglican and Catholic churches were gathered for the ceremony at the Beechwood Cemetery, where the remains of 79 people were buried in a plot near the National Military Cemetery. Many of the speakers there said the people now resting in plot 106 in the east end of the cemetery were brave early pioneers of what became the nation's capital. "They remind us we stand on the shoulders of people gone before us and we need to remember them," said Ottawa Archbishop Terrence Prendergast. There people were buried in the first cemetery in what was then known as Bytown, Barrack Hill's Cemetery, which is now the east end of Albert, Queen and Sparks streets in downtown Ottawa. 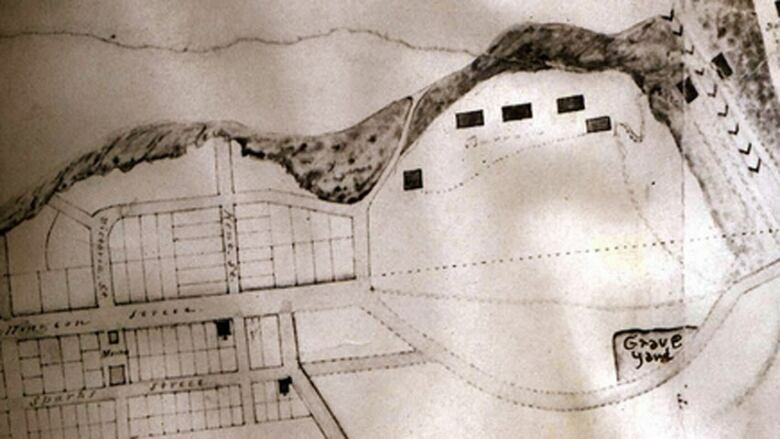 Col. John By set up the cemetery in 1827 as the Rideau Canal was being built nearby, according to the City of Ottawa. By the mid 1840s, the city had grown around the cemetery and some — but apparently not all — the remains were moved. Fast-forward to 2013, when city construction crews doing light-rail related work on Queen Street unearthed bones near the intersection with Metcalfe Street. Those were later deemed to be an archaeological discovery rather than a criminal one, as were other similar instances in the months since. The remains have been studied and stored at the Canadian Museum of History, where they were displayed in 52 caskets for a public visitation last week. Paul Henry, the archivist for the City of Ottawa, said 200 people came to see that visitation. "2017 in particular is … an opportunity to look back at who we once were and pay homage and respect to those individuals who built the city where we now live and who helped us become who we are today," he said. "It's a definite opportunity to remember a time and a place that is gone but very much relevant today." Ottawa Mayor Jim Watson said during the ceremony construction crews will likely find more remains from Barrack's Hill while working in the area and when they do, they'll be buried in the Beechwood Cemetery plot with the others. David Selzer, the executive archdeacon of the Anglican Diocese of Ottawa, said setting aside a plot at Beechwood Cemetery makes sense because the national cemetery should include all Canadians, not just the wealthy or famous. "The most important part for me were [that] people who were buried and had their graves just abandoned have now been reclaimed and given a proper recommittal," he said. "… [It's] that whole sense of being able to rest in peace rather than in pieces underneath Queen Street."